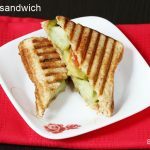 Veg grilled sandwich recipe – Sandwiches are a favorite among many and like to enjoy for their Breakfast or evening chai. Bombay sandwiches are quite a common street food not only in bombay but even in other parts of India. 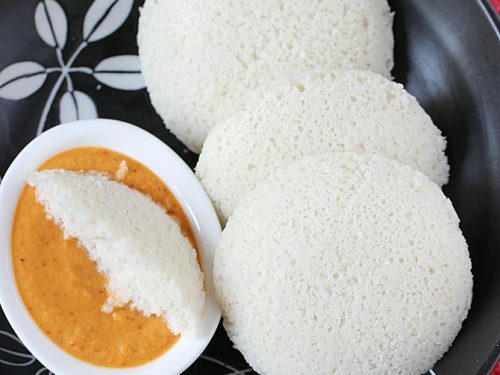 Most chat places, tea shops, tiffin centers & Indian restaurants have a variety of bombay street foods on their menu. 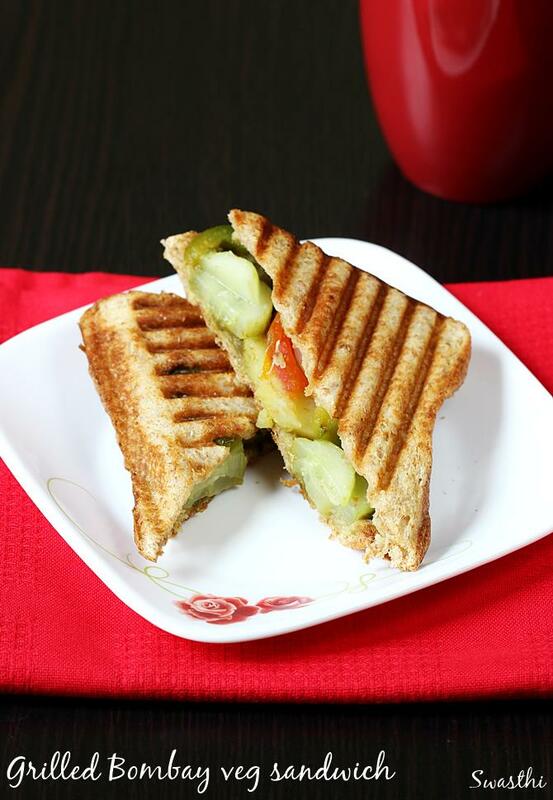 These veg grilled sandwich can be made for breakfast, brunch or a snack and are quite filling. 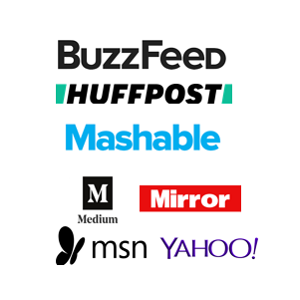 These can also be carried to work as they keep good for few hours. 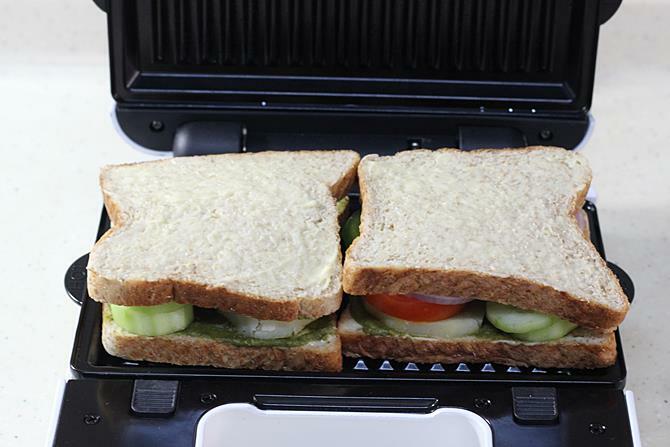 Green chutney and sandwich masala are the key ingredients to make these grilled sandwiches taste great. 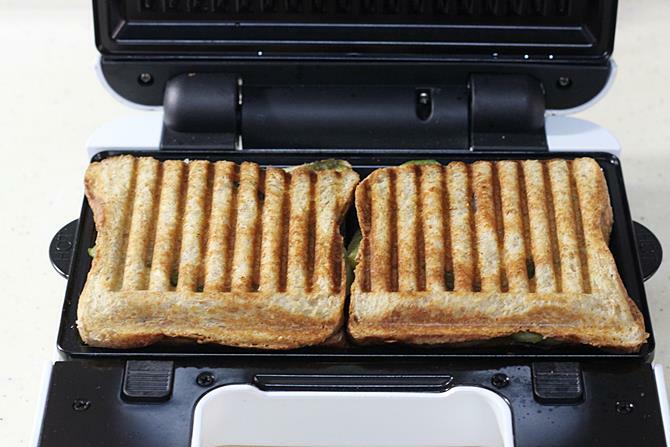 To make these veg grilled sandwiches, firstly a generous amount of butter is smeared over the white bread followed by the green chutney. 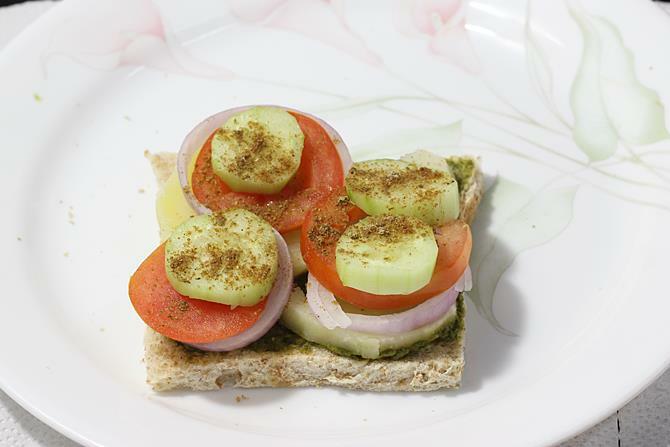 It is then topped with boiled veggies and sandwich masala or chaat masala. The sandwich is then grilled in a toaster or hand held grill. You can use any bread you have in hand. To make it healthier choose whole grain or wheat bread. 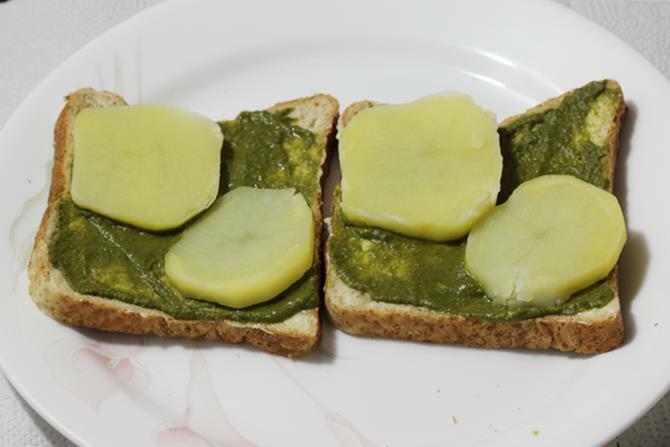 This grilled sandwich uses green chutney. 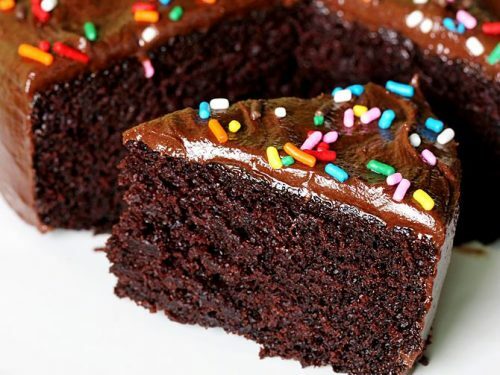 I have shared the recipe of it as well in the recipe card. 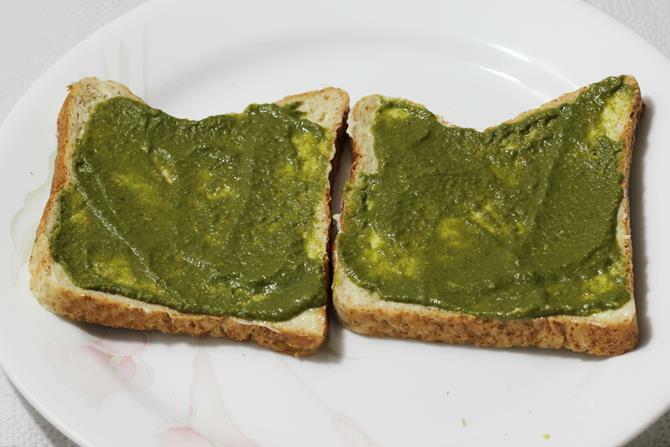 However if you do not have the chutney, just replace with any sandwich spread of your choice. 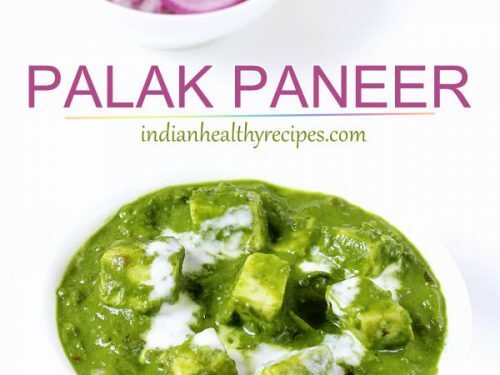 For variations you can stir in few tbsps of the green chutney with 2 to 3 tbsps of thick hung curd or mayo. 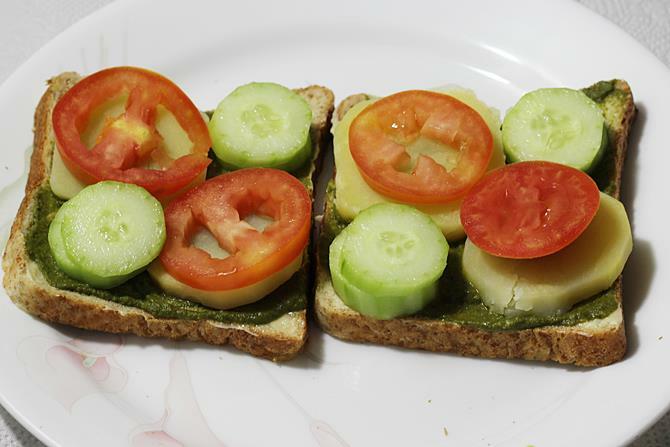 I have made the veg grilled sandwich in a toaster. For convenience you can also just grill it on a tawa. But the sandwich will lack binding so handle them carefully. You can also use your favorite veggies like beetroot, broccoli or carrots. Just steam them and use. 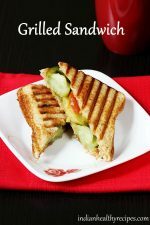 Veg grilled sandwich are a popular street food from mumbai. 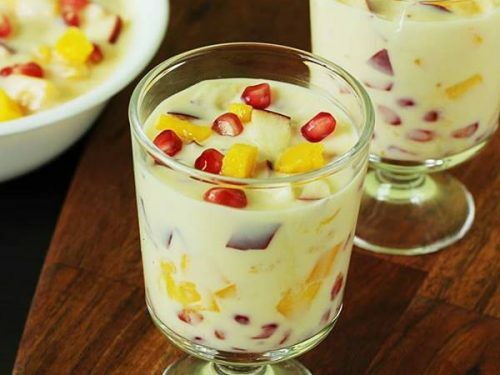 These can be enjoyed anytime for breakfast, brunch or snack. If you do not have green chutney, replace it with mayo. 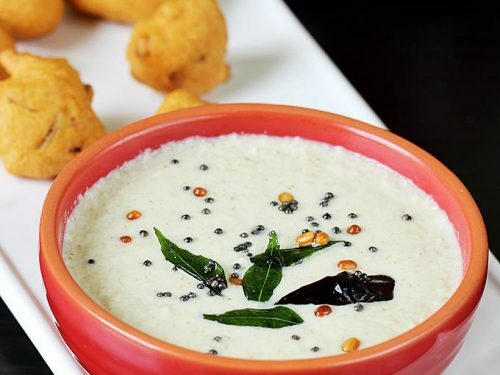 Making green chutney (optional) – To a blender jar, add coriander leaves, fried gram, cumin, green chilies, garlic cloves, ginger, lemon juice and salt. Blend well adding water little by little to make a thick chutney. Do not add too much water otherwise the chutney will turn runny. Taste the chutney and add more salt & chili if needed. 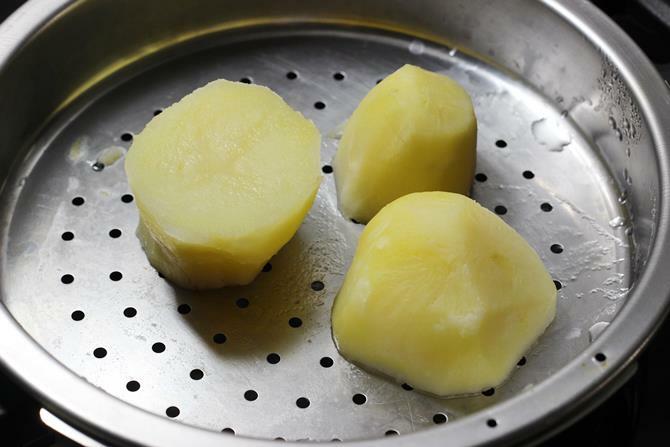 Prepare veggies – Peel the potatoes & steam them in a steamer or cooker until just cooked or fork tender. Do not make them very soft or mushy. 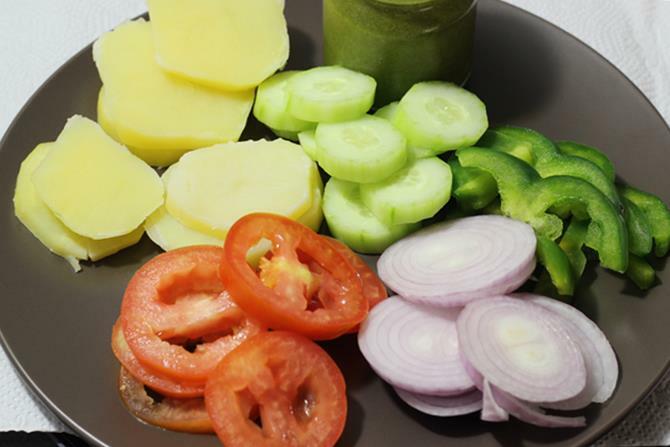 Slice the remaining veggies cucumber, onions, tomatoes along with boiled and cooled potatoes. Butter each slice of bread on both the sides. Spread the green chutney as needed. Place the veggies – potatoes, tomatoes, cucumber, onions and then capsicum. Sprinkle a generous amount of chaat masala and cumin powder. Cover with another slice of buttered bread. Place them in a hand held or electric griller and grill the sandwiches until golden. You can also grill them on a grill pan until golden & crisp. 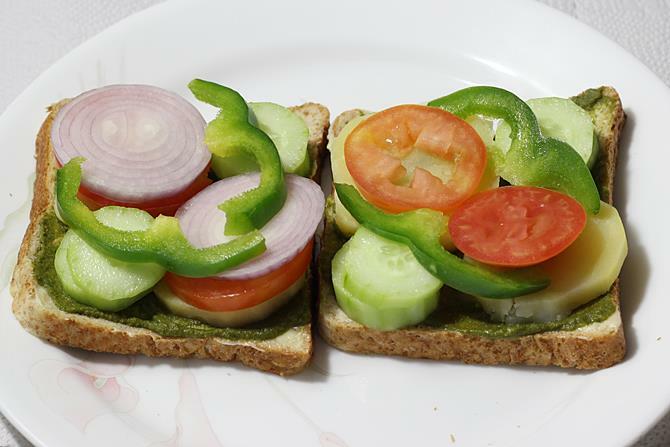 Cut bombay veg grilled sandwich to halves and serve. 1. Boil or steam potatoes and beetroot. I skipped beets and steamed potatoes just until done. While the potatoes steam make the green chutney. 2. Cool the beets and potatoes and slice them. While they cool, you can slice the tomatoes, cucumbers, onions and bell peppers. 3. We will need green chutney that is thick and has a good spreading consistency. 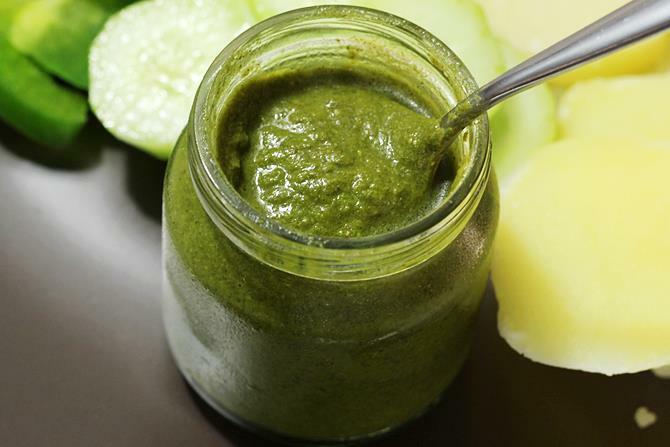 You can find the the recipe of green chutney here. You can also use mayo or tomato sauce if you don’t prefer to make the chutney. 4. 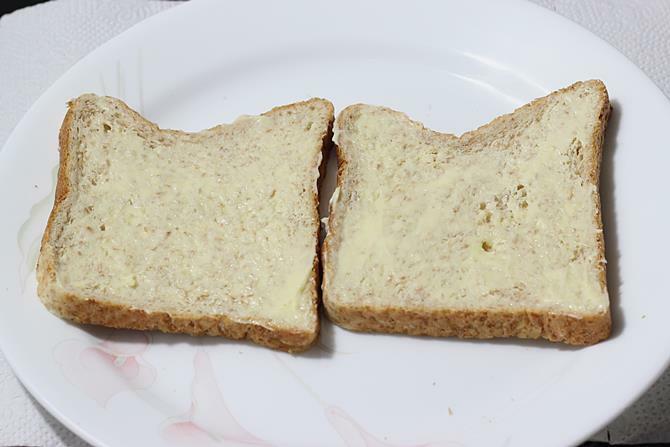 Spread a generous amount of butter over the bread slices on both the sides. Butter prevents the bread from turning soggy. 5. Spread a generous amount of green chutney. 6. Layer the potatoes and beetroot. 7. Then the cucumber and tomatoes. 8. Then the onions and bell peppers. 9. Sprinkle a generous amount of sandwich masala. 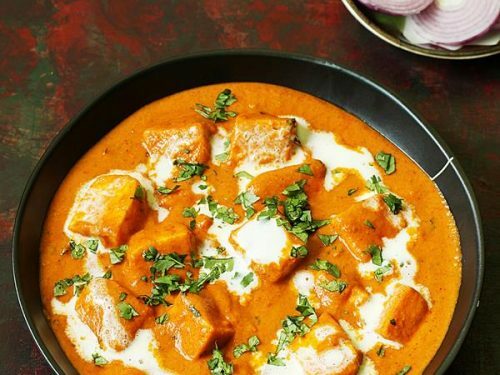 I used store bought masala. If you do not have just replace with a good chaat masala. 10. Cover with another slice of buttered bread. 11. Grill it either on stove top using a hand held sandwich griller or in a electric one. 12. Grill until golden and crusty. 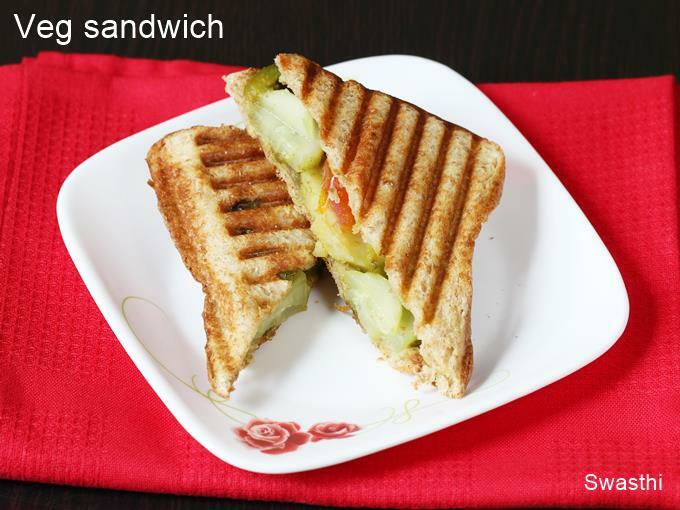 Cut and serve bombay veg grilled sandwich. 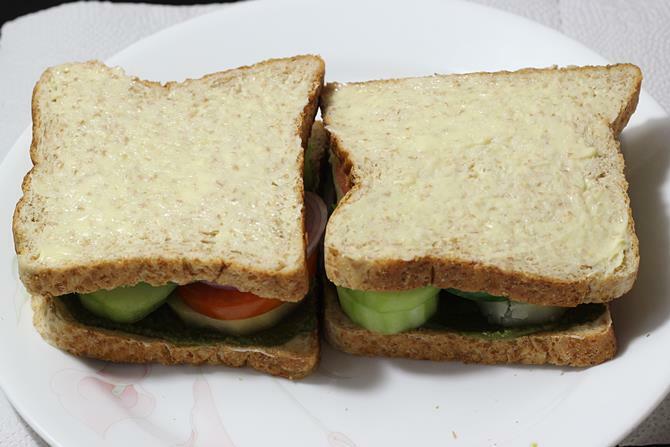 wow delicious and tempting veg sandwich 🙂 looks so delicious ! !